Elizabeth brought her friend Hailey to Fourth of July Park with us last week. 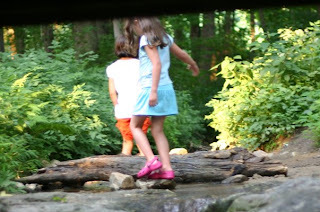 They were initially hesitant to wade into the creek with it's slippery rocks and icy water. 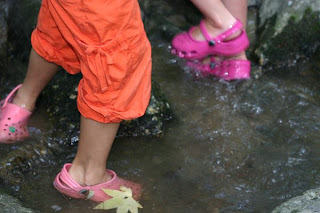 After their initial hesitation, they had the best time tromping around in the creek, splashing, slipping and stomping. Some of my favorite childhood summer memories are from the time I spent wading in the creeks around the houses that my grandparents grew up in. 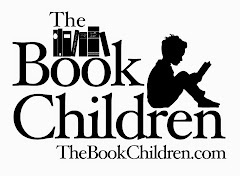 It must be a childhood rite of passage to spend at least a little time in nature this way. I took the first picture of them from under th e footbridge. The second picture of just their feet, splashing around, making mischief. They had a great time, and Hailey declared it the best park she's ever been to!